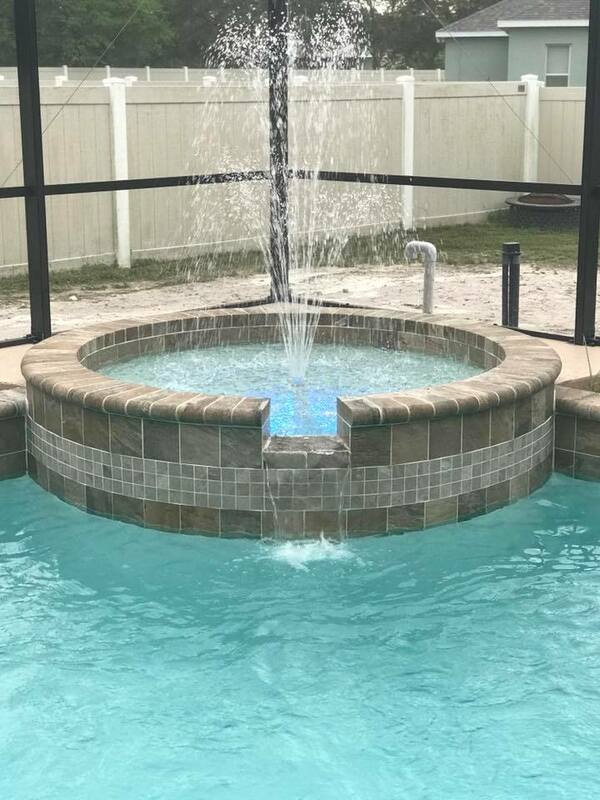 This is a beautiful 13' x 28' with a 9'6" x 4' Sun Shelf with umbrella holder. 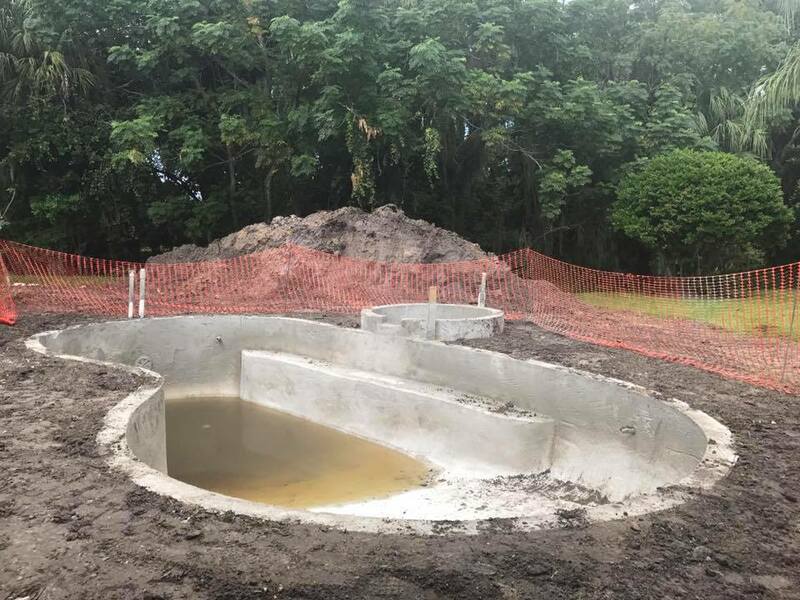 This is a pool we just started off of CR 675. 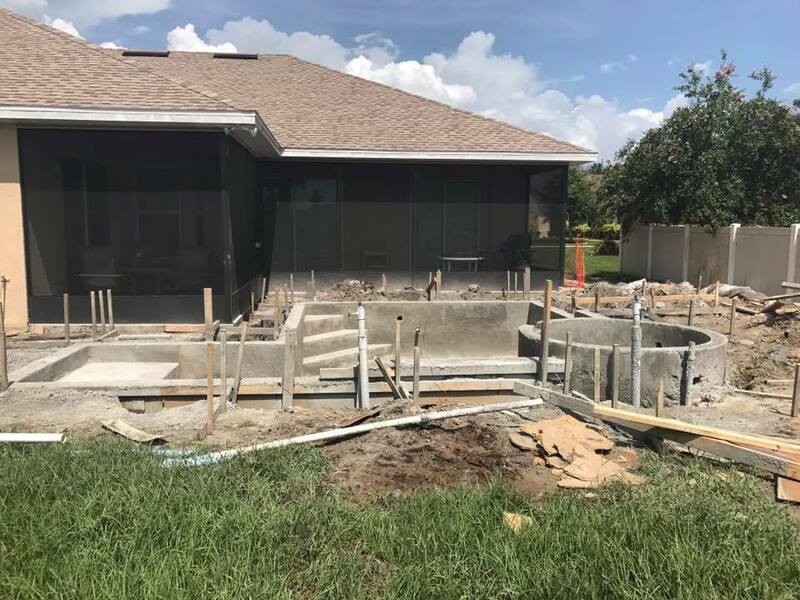 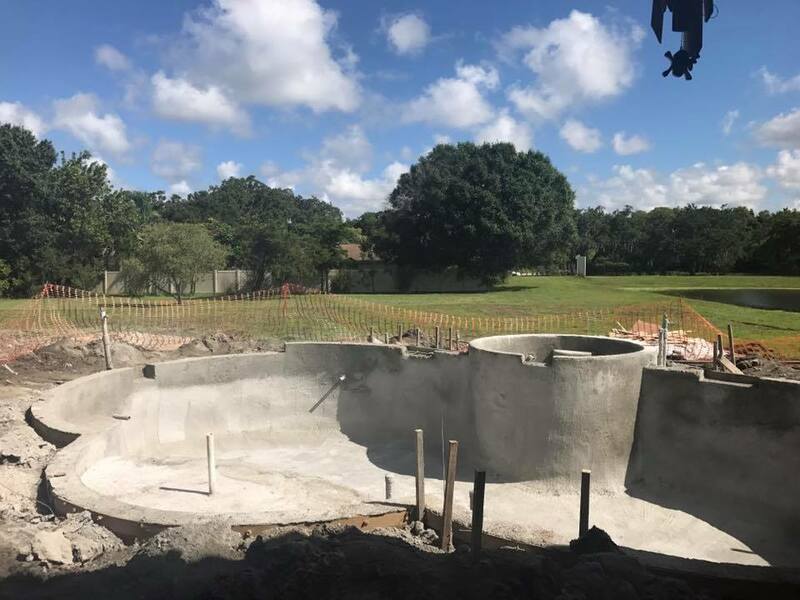 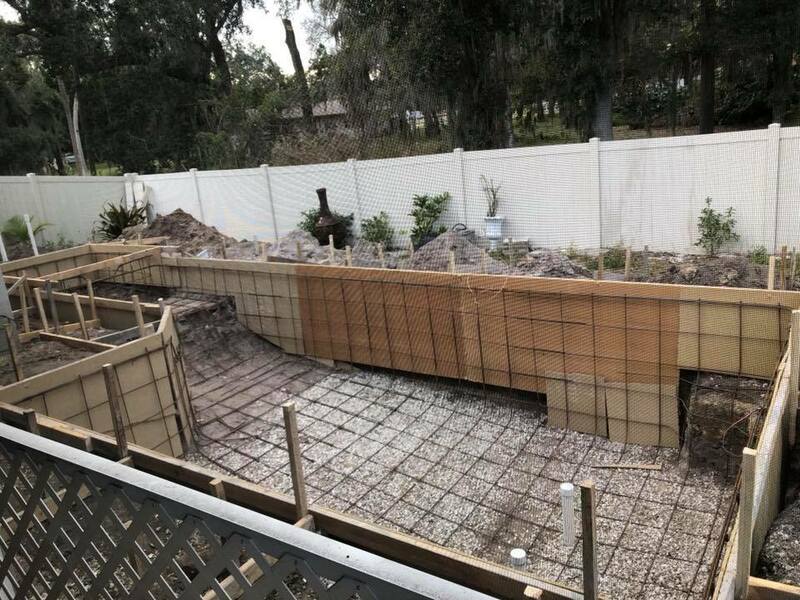 This house has a lot of land and this cage less pool is going to be a great addition for the family! 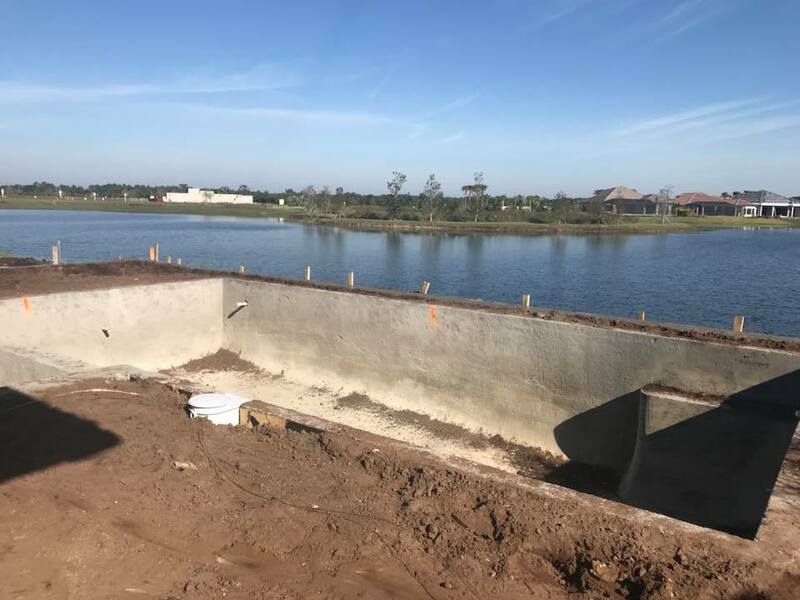 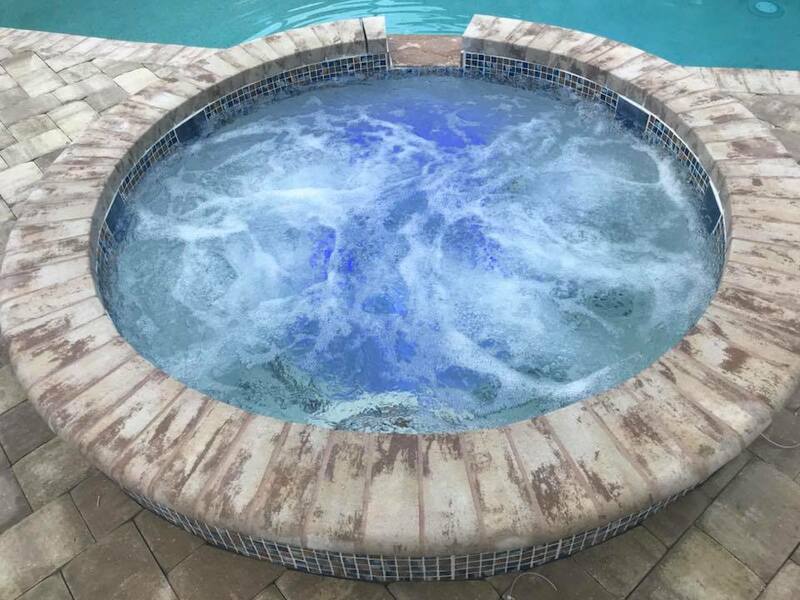 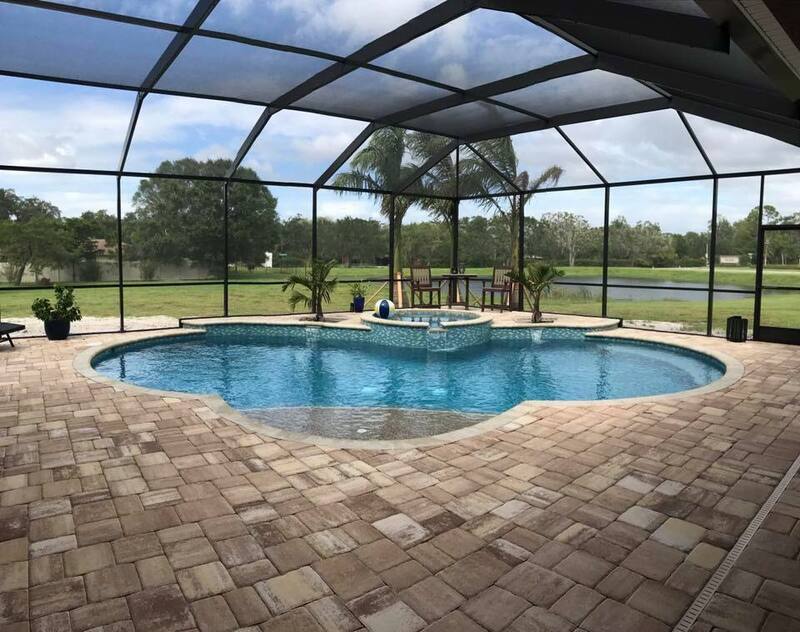 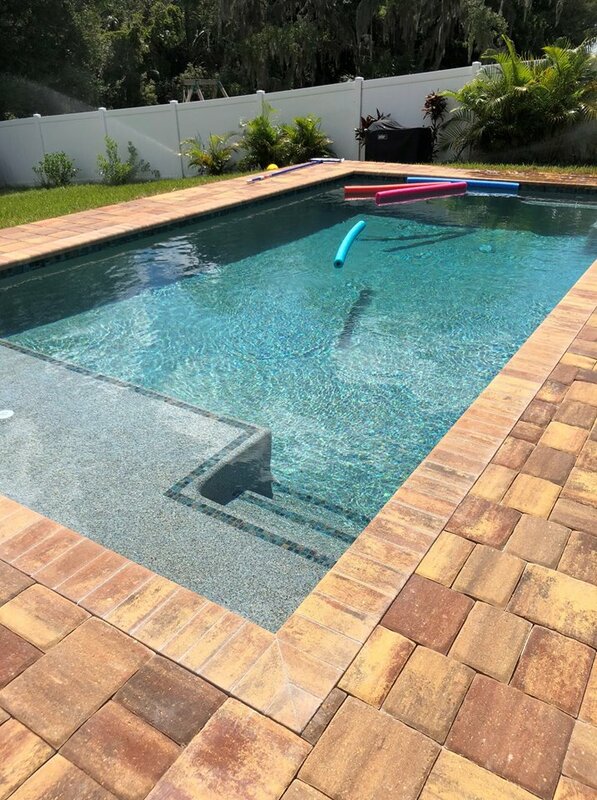 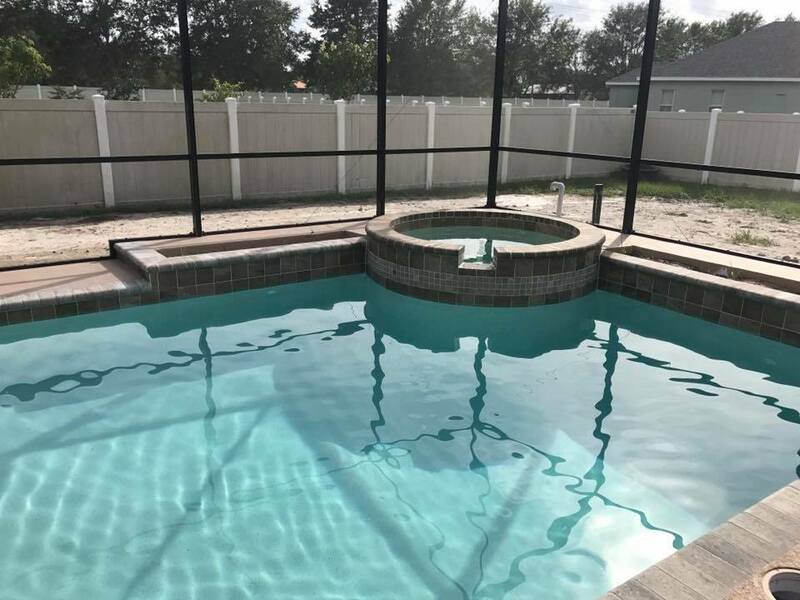 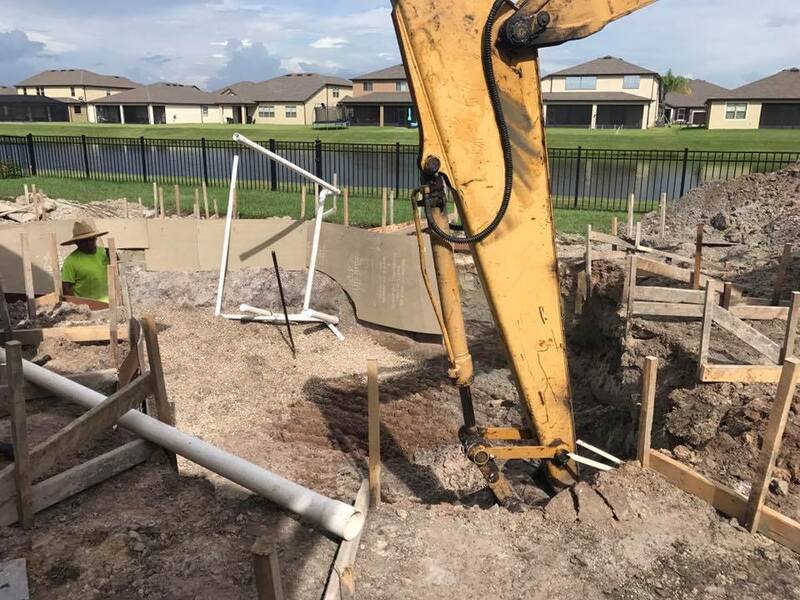 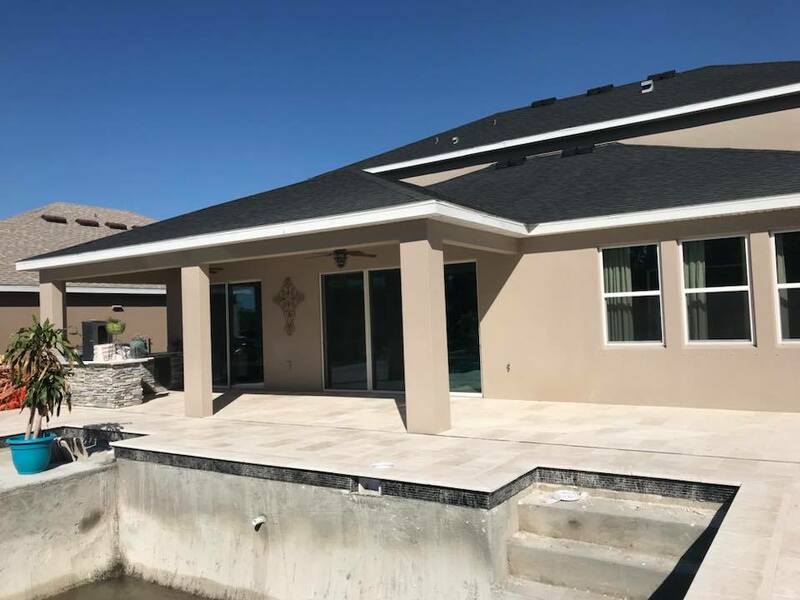 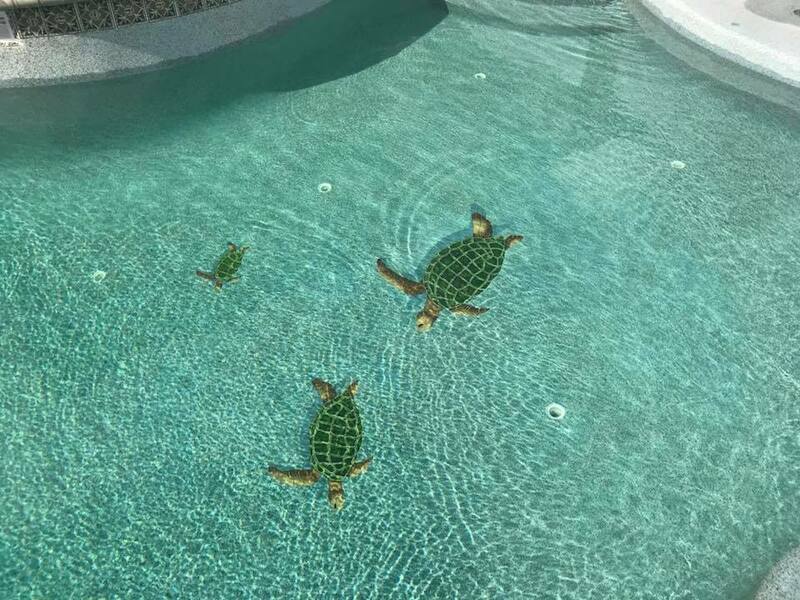 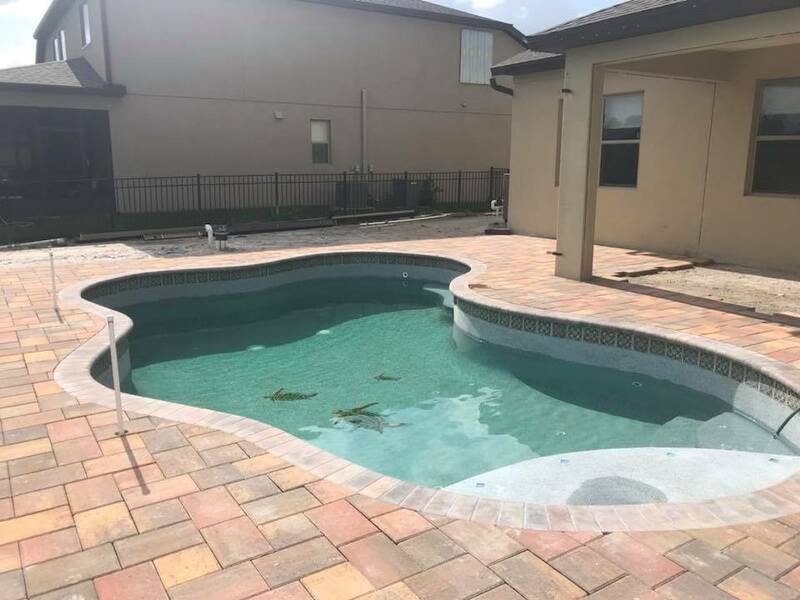 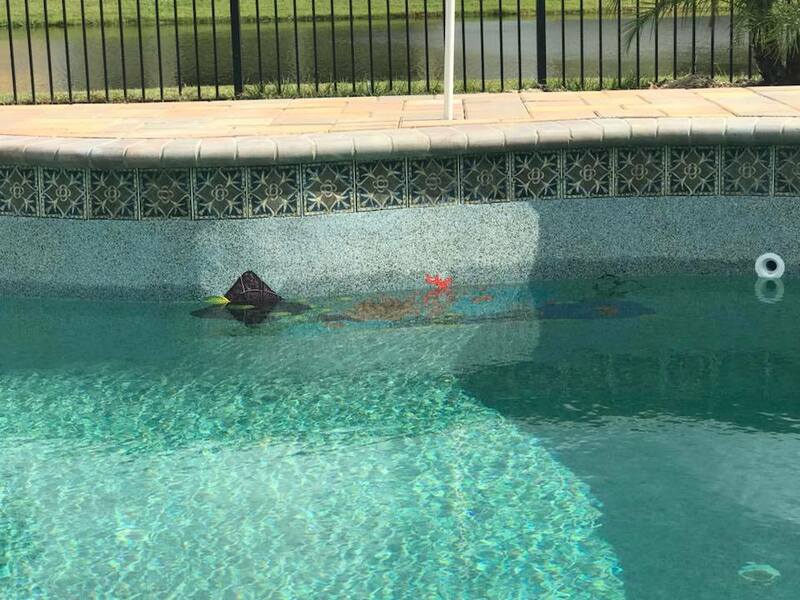 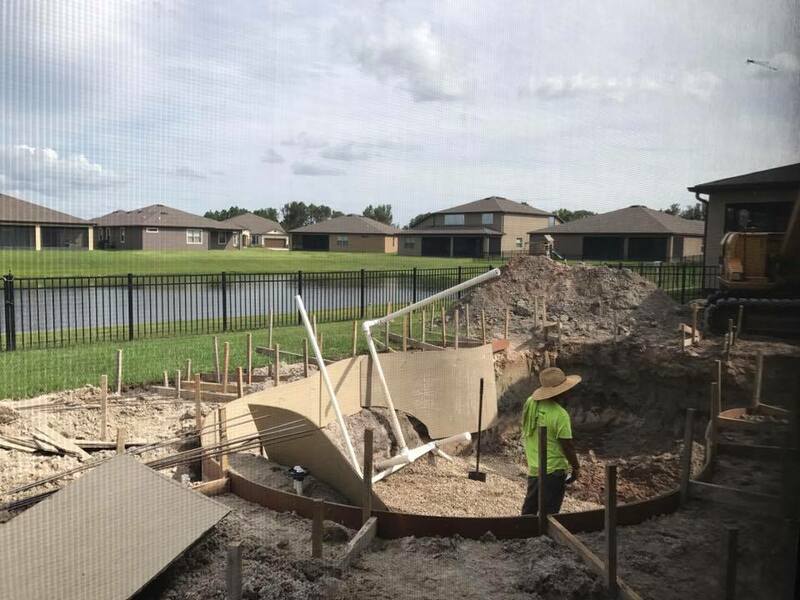 Our newest pool and spa in Oakleaf Hammock. 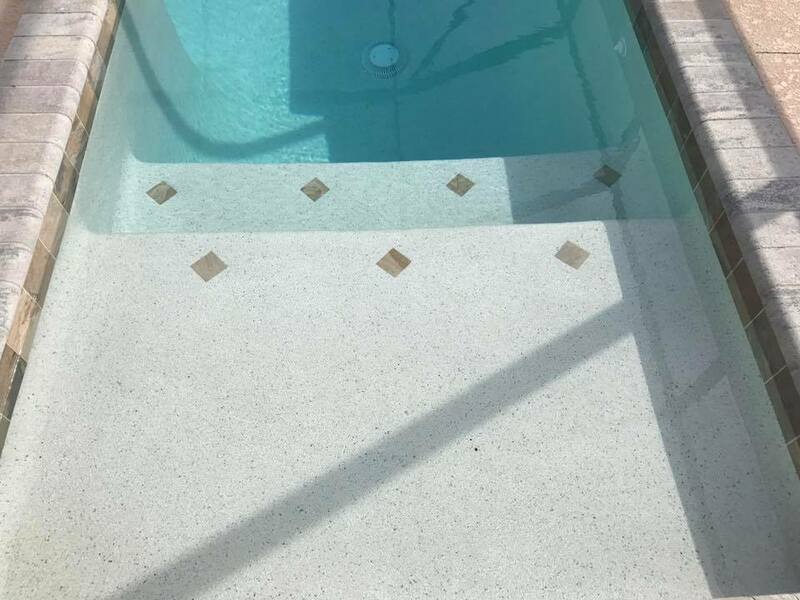 The spa tile looks amazing! 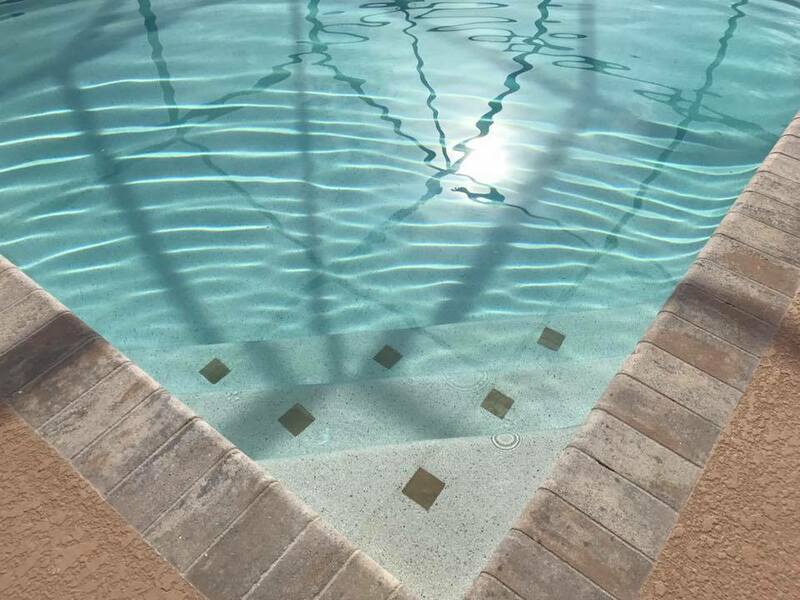 12’ x 18’ Custom Pool, 3’-5’ Depth, 5’ x 5’ Spa with 6” rise and 5’ x 5’ sunshelf. 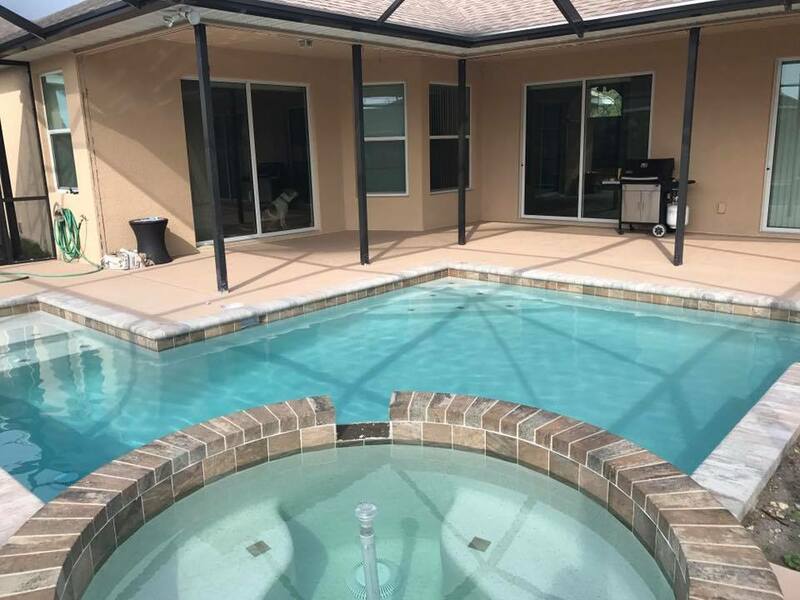 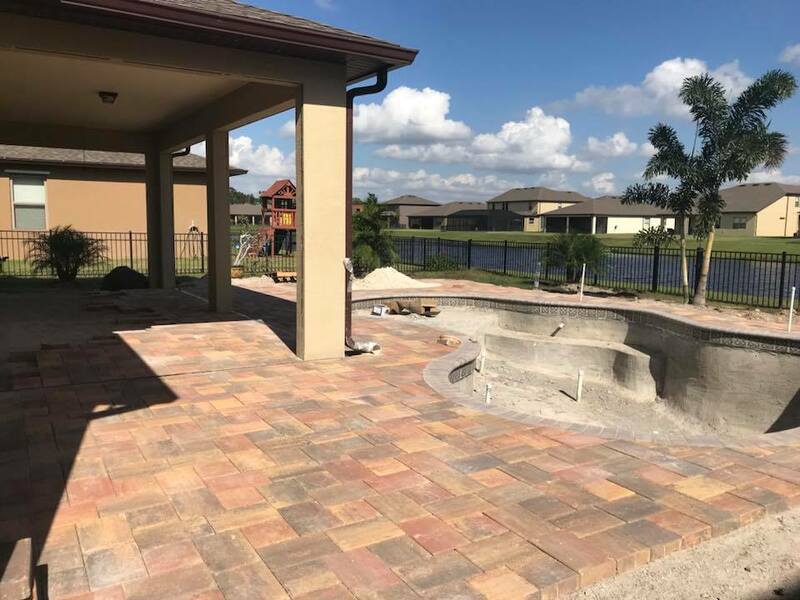 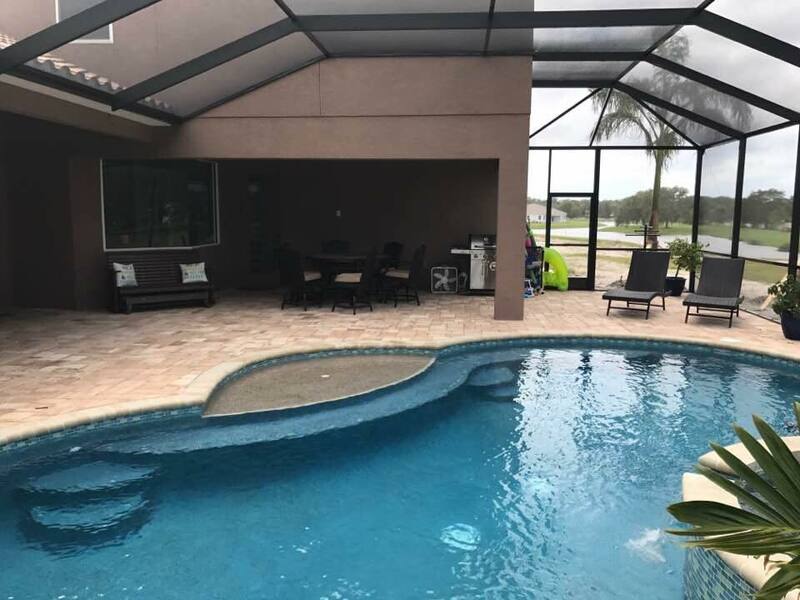 Pool and spa with over 1,000 square feet of paved deck area. 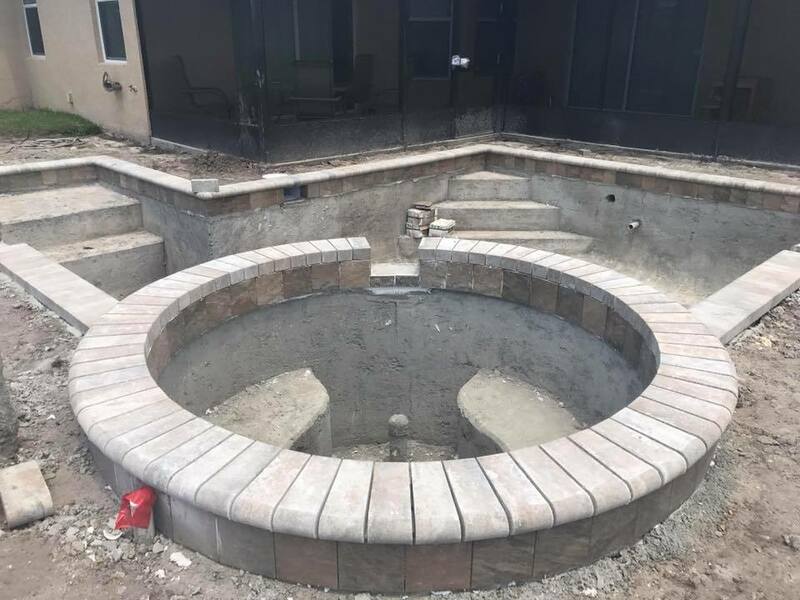 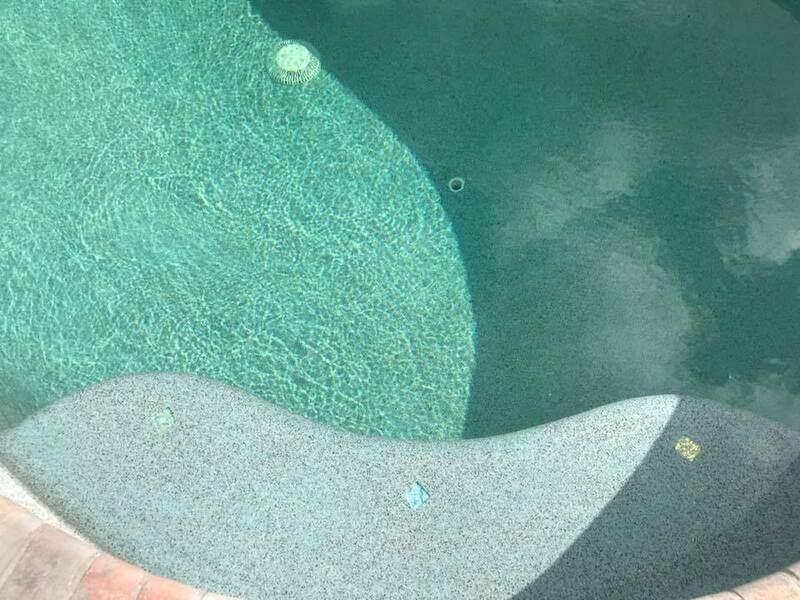 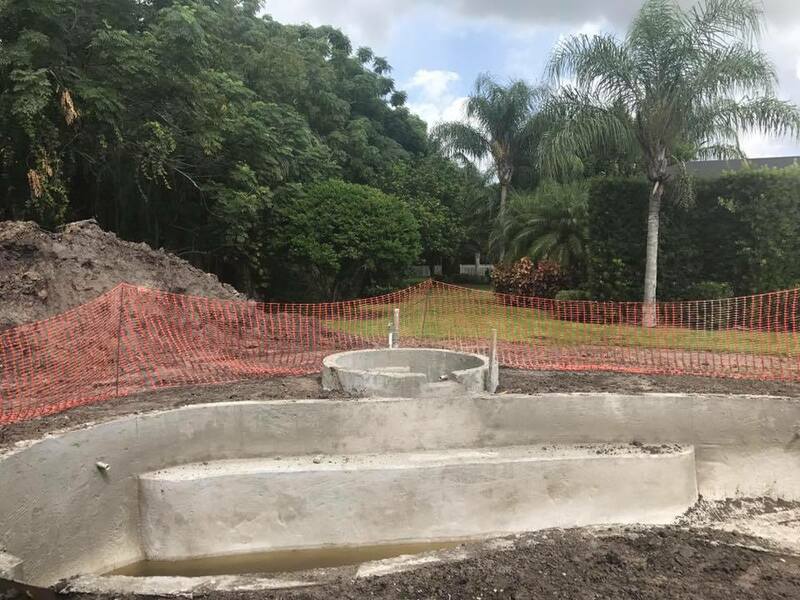 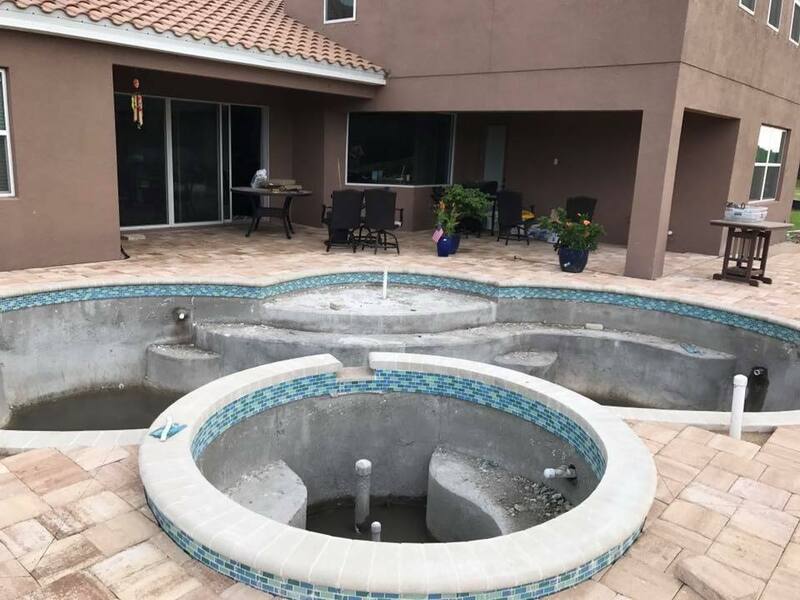 Custom pool shape 13' x 28', 3'-5' depth with 6' round spa with 6' rise and spillway.